So that happened (as mentioned in the title). 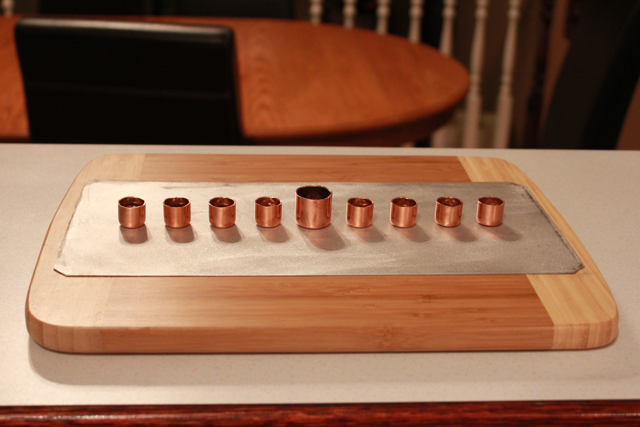 We misplaced our family menorah, and Hanukkah this year was upon us, so naturally it was buy or build decision time. Like most of the world’s 1%, I purchase far more than I make (heh, layers of meaning there perhaps), but I thrive on those moments when I have vision for a creation. 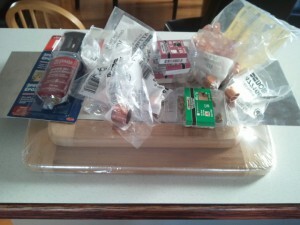 Maybe it’s a web app (bebepool), maybe it’s a traditional home improvement challenge. Whatever. 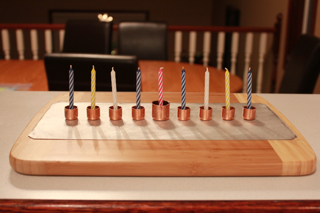 Last night the spark was: make my own Festival of Lights candelabra from common components, and design it to accommodate standard size birthday candles—those are always readily available. What’s ritual without tolerance for convenience, right? So I do what any Jewish immigré to Canada does in a situation like this: I schlepped myself to Canadian Tire. 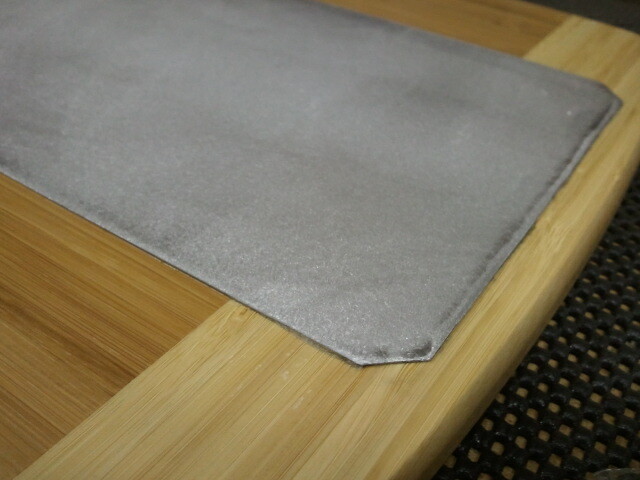 First off: trim to size, 45-degree the corners, and buff the aluminum. I turned to my ridiculously awesome neighbour and he ended up collaborating with me a bit on the assembly approach and tooling. He let me use his workbench, the whole workshop actually. Amazing guy (he was as intrigued by my project—I mean who wouldn’t be?). I squeezed out that epoxy on the back of the aluminum piece and firmly put it in its place on the cutting board, then put a rag over it and a heavy toolbox on top to hold it flat while the adhesive set. Done! (well, later on one of the small sides popped up a bit as it lacked enough goo, so I smeared in more with a paperclip and put a vise grip on it). 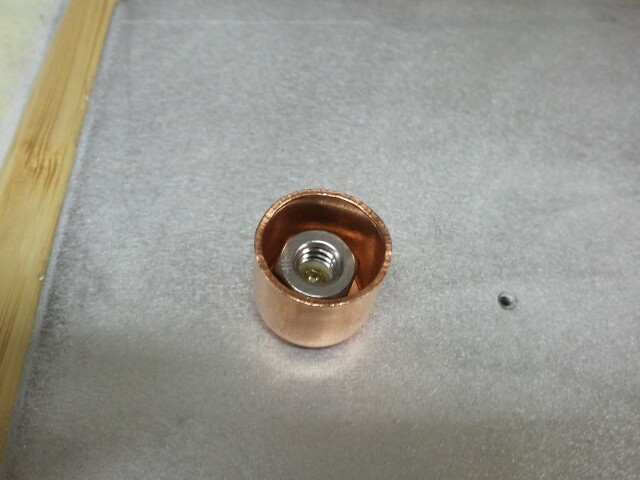 To secure the copper end cap and have a slot to hold each candle I epoxied a small screw to the bottom of each nut. This was the trickiest part and any future iteration of my design will have a less jury-rigging hardware config. But it works. Next, I drilled a centre hole in each copper cap (the center cap, for the shamash, is a larger size, but requires no different treatment as the smaller ones). I measured out and pencil-marked the location for each cap. 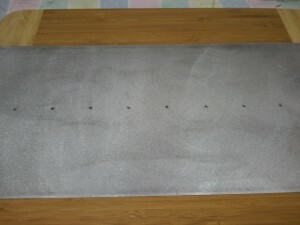 Then I used a centre-punch to make a small indentation to guide the bit for drilling the pilot holes. 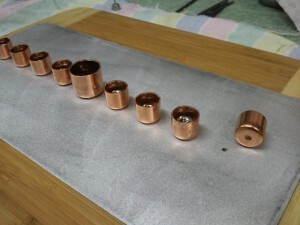 With the screw-nut assemblies done curing and dropped into each copper cap, I began hand-driving them (#0 Robertson) into the pilot holes. After a few nut-screw-caps got secured to the wood-metal base successfully the next one fails: the brass screw broke in two leaving most of it embedded in the board. Ok, now what? Best neighbour ever recognizes the location of the sheared off screw is such that it will fit under the bit of his drill press. 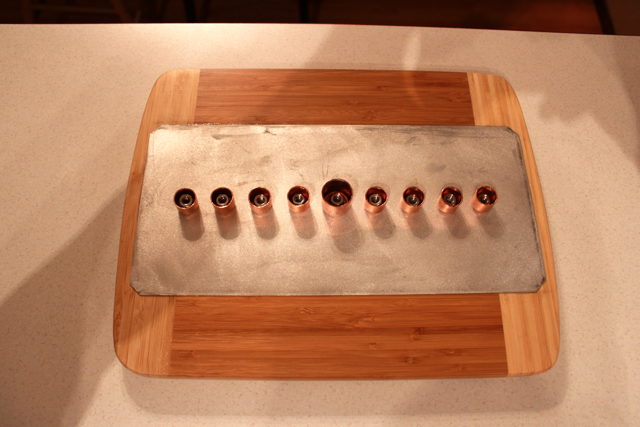 Boom—zombie screw gets drilled out and it’s ready for a second try. Glue a new nut-screw assembly and presto I get a do-over (no breakage this time). 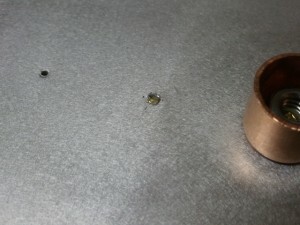 By the way, this happens again with another screw, so I repeat the recovery steps and we’re good to go (again). I drill out the pilot holes with one size larger bit to put less pressure on the screw while being driven. It makes a big difference. We’re almost to the end of the saga now. Cleaned up the mess I made neighbour’s garage. Done. 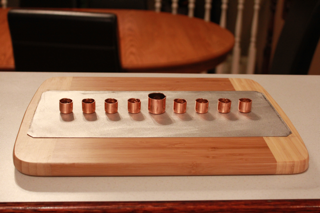 Do it yourself menorah now complete. Twist the standard issue birthday candles into each holder and commence the prayers, singing, and light display.